What is the Denture Process? A denture is a removable replacement for missing teeth and the gum tissue surrounding them. It is considered a quick and cost-effective solution to teeth lost through genetics, decays, accidents and gum disease. The two types of dentures are full (or complete) dentures and partial dentures. The former is used when the patient has lost all or virtually all of their teeth while the latter replace only a few teeth. The level of damage to your teeth is thus what determine the dentures you will be given. 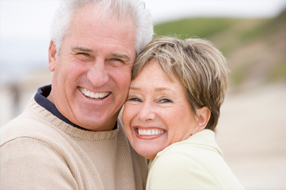 Getting dentures is usually a non-complex procedure that anyone can qualify for. Unless you have teeth that have to be removed first, the denture procedure is quicker than dental implants and most other alternatives popular alternatives. If you have no teeth removal to delay your procedure, your dentist will examine your mouth for signs of gum disease or any other infection to ensure you’re fully ready for dentures. An impression of your affected arc will be taken using a dental putty which you will be asked to bite into. This mold impression is sent to a laboratory where your dentures will be fabricated. Fitting and education on care and cleaning are offered on a separate appointment after the dentures have been received back by your dentist. Ensure you follow the guidelines to the letter to avoid complications and to maximize the longevity of your dentures. If you’re looking for a solution for your lost teeth without breaking the bank or waiting a year to smile again, consider getting dentures. Smart Dental invites you to pay us a visit at our office in Ocala and have your dentures fitted. Call 352.620.0093 today to schedule an appointment. This entry was posted in dentures and tagged dentures, full dentures, partial dentures. Bookmark the permalink.